When small town high schooler Hodaka Morishima (Kotaro Daigo) makes a go at living on his own in Tokyo for the first time, it isn’t long before he finds steady work writing for a local magazine focused on all things strange and supernatural — but the most interesting thing happening in the boy’s life is the unusual weather. 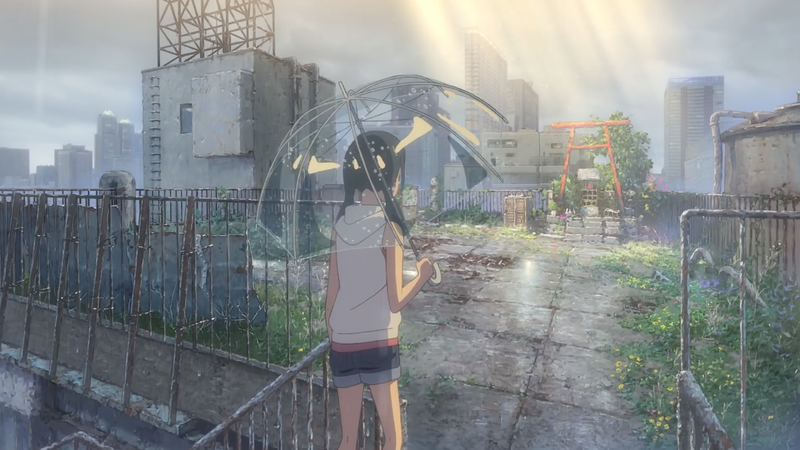 Rain’s common enough in the city that at first, no one makes much of the recent torrential showers that never seem to end, but unbeknownst to nearly everyone, a young girl named Hina Amano (Nana Mori) who has the ability to control the weather walks among them. Weathering With You hits Japanese theatres on July 19. No date for a global release or dub has yet been announced.